Stabile is a minimalist design created by Barcelona-based designer Max Enrich. 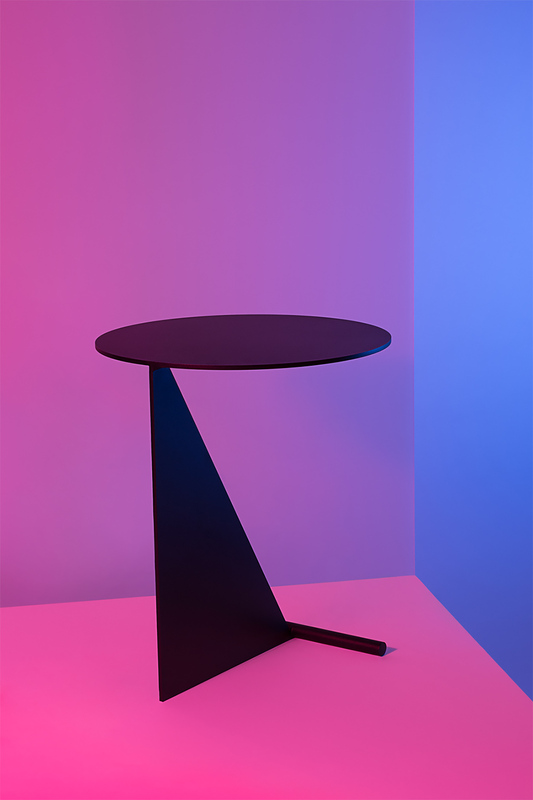 Stabile is a side table collection. They are all made of powder coated steel, aside from the golden variation. They were conceived as a family of tables which appear unstable, almost as an illusion. The tables are available in three variations, each of which utilizing a triangular support to create the effect of instability.